The members of the association met at Maple View Terrace on October 21st, 2015. Cheri called the meeting to order at 7:00pm. 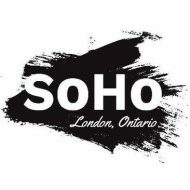 The student’s reports on SoHo properties are due the second week of December, and the information should come back to us early next year. Jamie made a motion (seconded by Maria) to approve the sending of a letter supporting the installation of needle bins in Richard B. Harrison and Meredith Park. The motion passed. Jamie made a motion (seconded by Cheri) to approve the last meeting’s minutes. The motion passed. Alex Meilutis and Vanessa Kinsley from environmental programs at the city wanted to pick a date for the “Active and Green” community discussion. Saturday was chosen tentatively, with 2-2.5 hours needed. Can be done as a drop-in, with food provided. Some students from Ivey business school are helping us with our food security initiative. They will present us with a full business plan for our social enterprise. December 5th it will be presented.